Whether travelling for business or pleasure, a Travel policy from RAK Insurance is your “’Passport’’ to invaluable peace of mind at an affordable price. 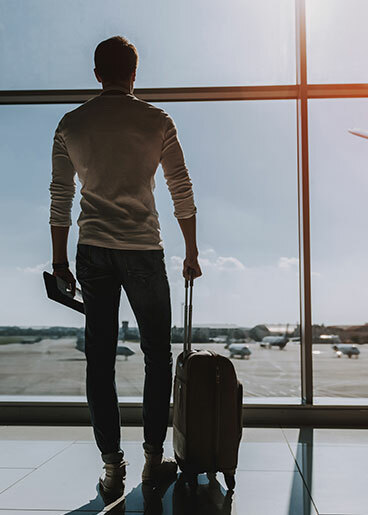 We offer both ENTRY (Inbound) and EXIT (Outbound) travel products based on whether you are visiting or resident in the UAE: as well as Single Trip or Annual options to suit your travel plans both now and in the future. With a great range of covers as standard: as well as a choice of additional benefits offered under our Economy, Business and First Class plan versions: pack a RAK Travel policy as your perfect travel companion!